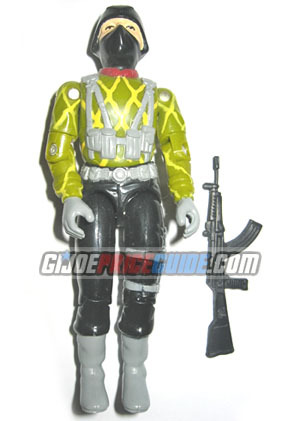 NOTES: For some reason, Hasbro chose to repaint the 1983 Cobra Officer as the 1989 Python Trooper. I can't say that this paint scheme does anything for me. Python Troopers are relatively popular as army builders none the less.